In this important meeting, 13 government banks will discuss ways to further advance the Indian banking system. 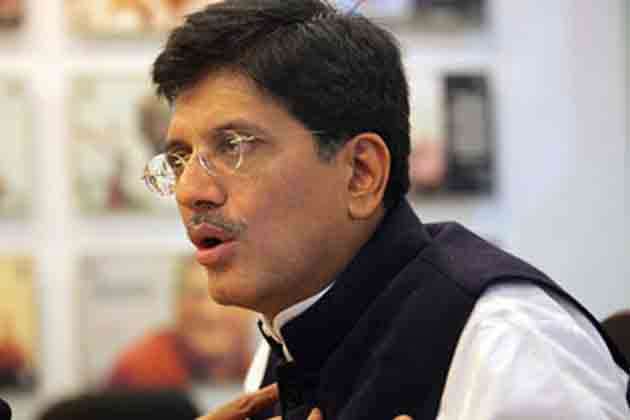 [New Delhi]: Union Finance Minister Piyush Goyal will meet the heads of 13 public sector banks (PSBs) to resolve their concerns on all issues. According to sources, this meeting is being organized by the State Bank of India (SBI), the largest public sector bank, headed by Piyush Goyal. According to the sources, in this important meeting, 13 heads of government banks will discuss ways to advance the Indian banking system. The participating banks will be comprised of Punjab National Bank (PNB), Oriental Bank of Commerce (OBC), Punjab and Sind Bank, UCO Bank, United Bank of India and Allahabad Bank. Apart from this, Managing Director of Bank of Maharashtra, Managing Director of Andhra Bank, Managing Director Canara Bank, Managing Director of Indian Bank and Managing Director of Vijaya Bank will also be present in this important meeting. This will be the first meeting of heads of government banks after the annual financial results of the financial year 2017-18. Most of these banks have recorded losses in the last quarter of the last financial year. These banks are headquartered in eastern, southern and northern India. Due to Nirv Modi's PNB scam, Punjab National Bank alone suffered a loss of Rs 13,416.91 crore in the last quarter of the last financial year. This is the largest quarterly loss of any bank. Significantly, money was withdrawn through the misuse of LOU in this scandal and in this case, Neerav Modi and his uncle Mehul are the main accused.